There are weeks in the winter when we have gorgeous weather... and weeks when we are cooped up inside because it is pouring rain and cold. 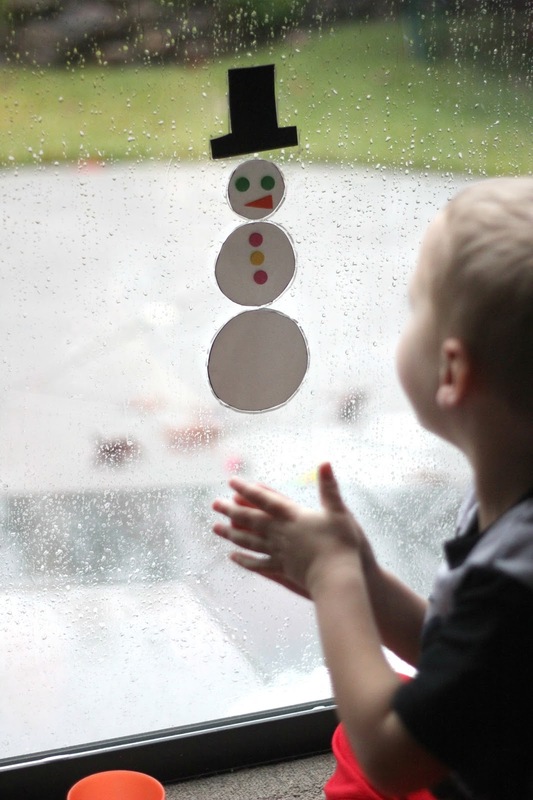 This past week we had torrential rain and my kids were sick, so we did several simple winter themed activities inside to keep us busy and happy. We love window clings, but I hate how they get dirty pretty easily and my one-year-old rips them up. 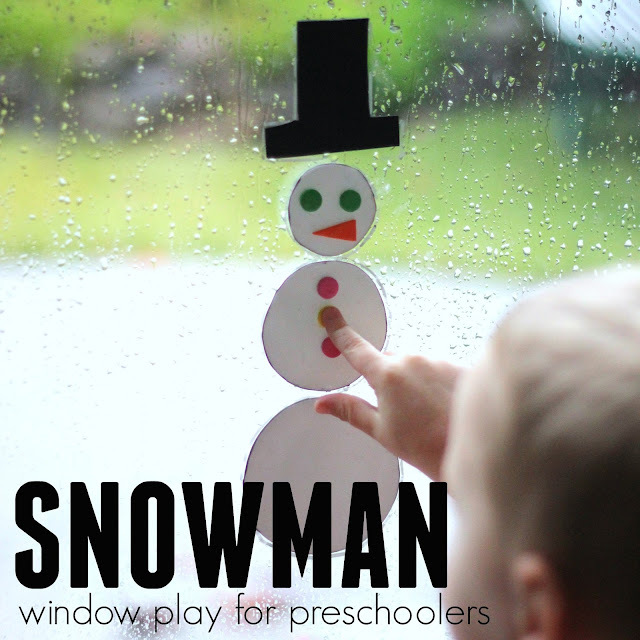 This week we grabbed some simple foam sheets and made a snowman for some window play. The foam is a little more durable than typical window clings and the kids had a blast creating with it. 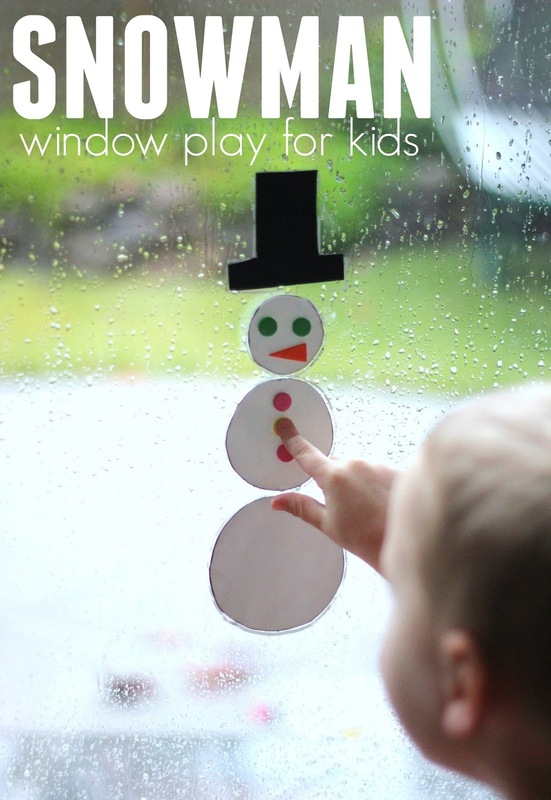 To get started you need to make your snowman window clings! We cut three different sized circles out of white foam, a black hat out of black foam, and then eyes, buttons, and a nose out of scrap pieces of foam. Once everything was cut out we were ready to start building! We used our fingers to put a small amount of water on the back of the foam. The water helped the foam adhere to the windows! The kids were amazed that the foam stuck with just a little bit of water! We used a dry erase marker to draw a simple snowman outline so that as the kids began building they could just practice by building their snowman within the snowman outline. After they built a few times with the outline they were ready to build and create on their own! My preschooler loved building the snowman and knocking it down. My one-year-old just loved pulling down the snowman! If your kids like snowman themed crafts and activities as much as we do, pop on over and check out 13 of our other favorite snowman crafts and activities. Earlier this week we also shared a snowman stacking/knock down game that was so funny! My one-year-old thought it was the funniest thing! 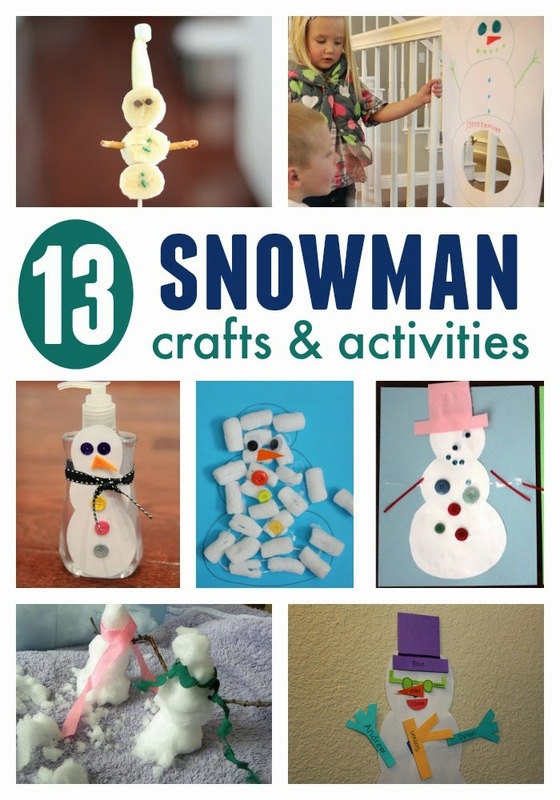 Do you have any favorite snowman crafts? Tell me about them in the comments!